WHO Names The 12 Superbugs Posing The Greatest Threat To Human Health : Goats and Soda For the first time, the World Health Organization has released a list of 12 bacteria that "pose the greatest threat to human health" because of their antibiotic resistance. 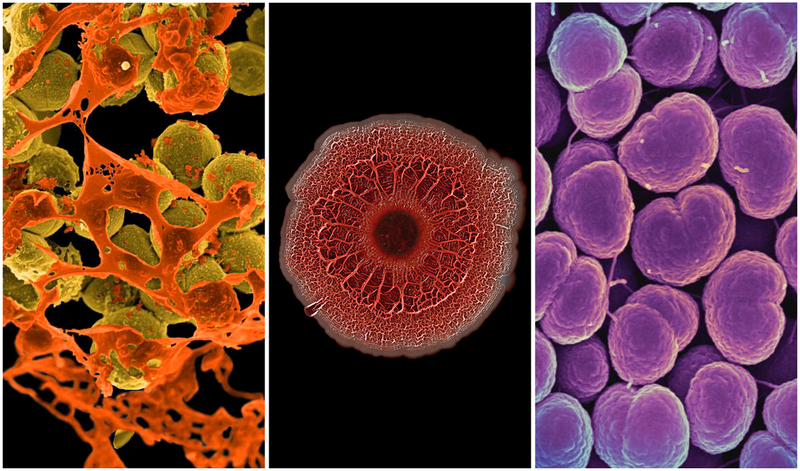 On the list of pathogens (from left): Staphylococcus aureus (causes skin infections, pneumonia, bloodstream infections), Pseudomonas aeruginosa (causes blood infections, pneumonia, infections after surgery) and Neisseria gonorrhoeae (causes the sexually-transmitted disease gonorrhea). A previous version of this post stated that a "flu bug" was included in the medium category. The bacteria in question are Haemophilus influenzae, which can cause a wide range of infections, particularly in children, but do not cause flu.